Do any of these resolutions sound familiar to you? Indeed, all good and wonderful things to desire and resolve to do each year. The problem was, New Year's Resolutions rarely worked out the way I’d planned. By April, I’d feel defeated by the lack of progress I’d made, if I could even remember what the resolution was in the first place. And ironically, my resolution never had much, if anything, to do with the one thing that mattered more than anything else to me - my relationship with Jesus. Yet I still belong to you; you hold my right hand. You guide me with your counsel, leading me to a glorious destiny. Whom have I in heaven but you? I desire you more than anything on earth. But as for me, how good it is to be near God! I have made the Sovereign Lord my shelter, and I will tell everyone about the wonderful things you do. ……. how I can see each new year as an invitation to refocus my heart on growing deeper and more dependent on Christ? ……..how I can see each new year as a fresh opportunity to offer more of my heart, my story, and my life to the One who gave His heart, and His story, and His life for mine? ……..how I can use each new year to offer a new prayer rather than make a new resolution? It made sense, I thought. If the main purpose of my life is to glorify God and enjoy Him forever, I wanted to use each year to refocus my heart on doing just that. My New Years Prayer in 2010 was simple. “Lord, more of you, less of me.” I was thirsty, really thirsty, for more of Jesus. Even more than that, I was just really tired of myself. Andrew Murray has a much more eloquent way of putting it. He says, “Let death be to you the most desirable thing on earth, death to self and fellowship with God.” And although there still needs to be a lot less of “me,” 2010 was a year God opened my heart more fully to the full measure of His grace. It was a year of adventure for our family, feeling called to sell our home and move from NY to CT to be (among other things) closer to our church family. And it was a year of great adventure for me personally, one where I felt God was calling me to be vulnerable with the things He was teaching me about the profound and blessed ways His grace can change a family. It was the year I sensed the Lord saying, “If you really want more of me, you’re going to have to trust me.” And so it was the year I began to put my heart on paper for more than just my eyes to see. My New Years Prayer in 2011 was, “Lord, I want to live in full awareness of your grace in every moment of my life.” This was the year God did some major melting and molding in my parenting. In desiring to keep my eyes open to His presence in every moment of my life, I was convicted to surrender more of my moments to Him. And in His presence is grace. Pure, bountiful, grace. Grace that filled the empty places in my heart, and grace that began to overflow more freely to my kids. 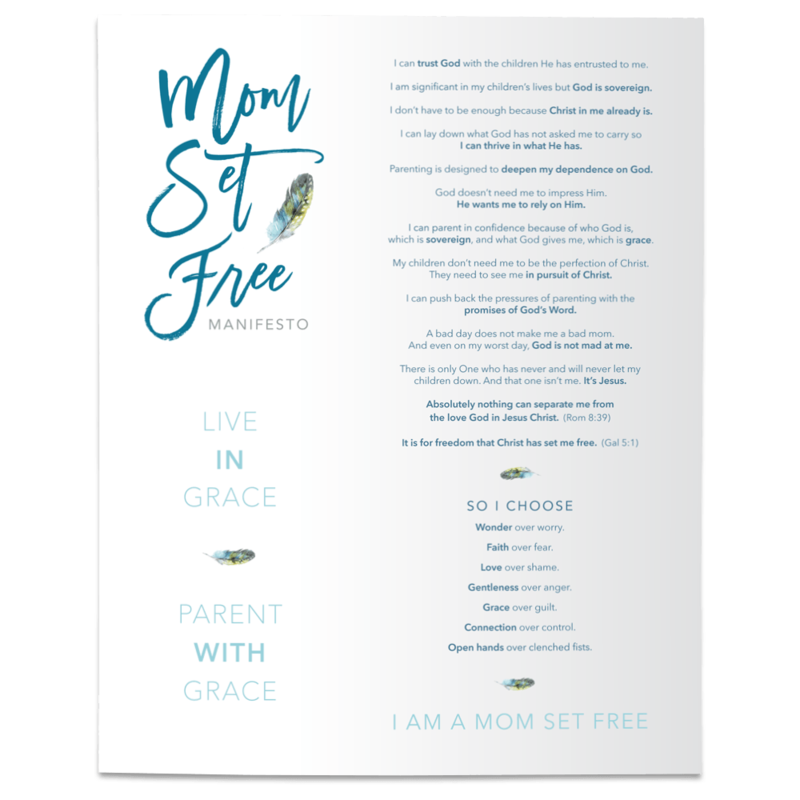 Grace that set me free to enjoy the adventure of parenting so much more, and grace that made me live in hopeful expectation of what Jesus longs to reveal to me about Himself through my children. Yes that was my prayer for 2012: “Lord, let the mountains move!” And even now, as I write this blog, I am moved to tears. (It’s actually more of a big ugly cry- you know the kind I’m talking about.) Little did I know how much faith, and trust, and surrender would be required this year. How little I understood about all our family would experience - not just in storm but in so many other areas of our lives- both in extraordinary blessing and in tribulation. It’s as if Jesus was preparing my heart with that prayer – “Lord, increase my faith” – for the mountains and valleys He knew we would travel together in 2012. Just now recognizing this tempts me to make my 2013 prayer something along the lines of “Lord, increase my peace.” This girl would just love more peace. Yes I want peace - the kind that quiets the storm in my heart, even as the winds rage about me. I want peace that is unmoved by my circumstances and fully rooted in the soul soothing knowledge that He is for me. Because what the trials ~ and blessings ~ of 2012 have reminded me is that my heart will never be fully satisfied in anything other than Christ alone and His righteousness. Nothing in this world compares to knowing He has me, He holds me, He carries me, He loves me. So in the mundane and in the monumental moments of 2013, I just want to fall more in love with the one who loved me first. I want a heart that is so captivated by His love for me, that I desire nothing less than to glorify God and enjoy Him forever. To glorify Him in my every thought, word, and deed because I am so smitten with the way He loves me in spite of my every sinful and selfish thought, word, and deed. I want a life fully and wholly surrendered to His glory. And I want a life that reveals the glory of His grace. All this I want in 2013. Yet, even so, this was my prayer this morning…..
Thankfully, the validity of my prayer does not dictate His willingness to hear it. To lay every burden, every joy, every fear, and every blessing before the Lord. To abide and wait patiently before the Lord. To grow deeper and more dependent on Christ. Hear my prayer, O Lord. Lead me to the Rock that is higher than I.